Who's Who in the Graduate Program? Edward J. Lawler is the Martin P. Catherwood Professor of Industrial and Labor Relations and Professor of Sociology at Cornell University. Before joining the faculty of Cornell in 1994, he was a member of the sociology faculty at the University of Iowa for 22 years, where he became the Duane C. Spristersbach Professor of Liberal Arts in 1990. He earned bachelor’s (1966) and master’s (1968) degrees in sociology from California State University, Long Beach and Los Angeles, respectively, and a Ph.D. in sociology from the University of Wisconsin, Madison in 1972. Lawler has authored or co-authored three books and over 60 articles, and edited or co-edited over 20 volumes of the annual series, Advances in Group Processes. Most recently, his book (coauthored with Shane Thye and Jeongkoo Yoon), Social Commitments in a Depersonalized World (2009) was published by the Russell Sage Foundation. This book won the 2010 James Coleman Best Book Award from the Rationality and Society Section of the American Sociological Association. 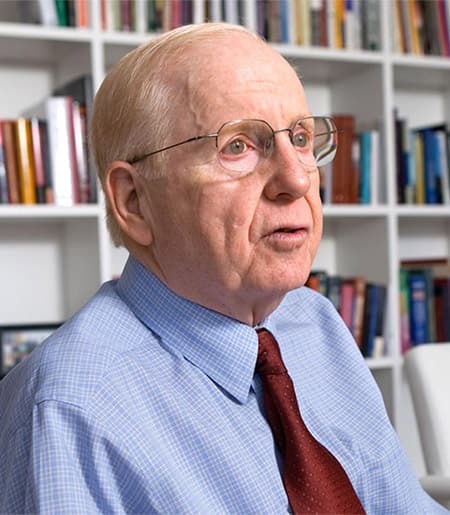 In 2001, he received the Cooley-Mead Award for career achievement from the Social Psychology Section of the American Sociological Association, and in 2003 his paper, “An Affect Theory of Social Exchange” won the 2002 Theory Prize from the Theory Section of the American Sociological Association. He served as Editor of Social Psychology Quarterly (1992-96); he was a Fellow at the Center for Advanced Study in the Behavioral Sciences (1996-97) and a Scholar at the Russell Sage Foundation (2007-08). His primary teaching and research areas are group processes, exchange, power, negotiation, sociology of emotion, and theory. His current research analyzes the role of emotion in social exchange and negotiations, the formation of groups, the commitment of individuals to organizations, and more generally the emergence of social order. A central message of his work is that people develop affective ties to groups and are willing to sacrifice more for the collective welfare if they repeatedly engage in joint tasks that give them a sense of shared responsibility for group results. His work shows how and when people come to view group or organizational memberships as important and valuable in their own right, not only because of the benefits they individually derive from membership. Edward Lawler. 2013. Being on the Edge of Chaos, Contemporary Sociology. 42(3):340-349. Shane R Thye, Edward Lawler, Jeongkoo Yoon. 2011. Emergence of Embedded Relations and Group Formation in Networks of Competition, Social Psychology Quarterly. 74(4):387-413. Edward Lawler. 2008. Social Exchange and Micro Social Order, American Sociological Review . 73:519-542.